Over the course of his six-decade career in politics and law, he served as Ambassador to the United Kingdom, Solicitor General of the United States and a member of the United States House of Representatives. He argued close to 150 cases in front of the U.S. Supreme Court and also launched an unsuccessful campaign for President of the United States. He earned both his bachelor's degree in Latin and his law degree from Washington and Lee University. In appearing before the Supreme Court just prior to the landmark Brown v. Board of Education case, he found himself on the wrong side of history, fighting unsuccessfully to uphold the segregationist doctrine of "separate but equal." His first marriage, to Julia McDonald, resulted in a daughter who was also named Julia. His second marriage was to Ellen Bassel. 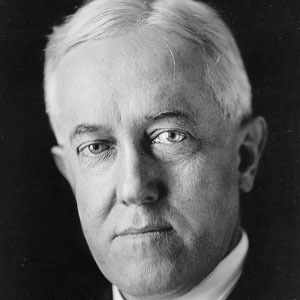 He lost the American presidential election of 1924 to Republican candidate Calvin Coolidge.